Nestled on Ocean Street, Santa Cruz Memorial Park is a serene land that offers many of its current residents the eternal peace they seek after death. Pass by it during day and you’ll feel a sense of calm thanks to the white tombstones and rich foliage. However, the cemetery transforms during night, sending chills down the spines of those who dare to head there after dark. A popular legend in Santa Cruz, the White Lady has been seen in the Santa Cruz Memorial Cemetery as well as the Ocean Street Extension from Quail Crossing. Before her death, she was a mail order bride who came from Massachusetts in the 1870s to wed a German residing in Santa Cruz. Unfortunately, he had a very bad drinking problem, which is why he abused his wife badly. Forcing her to wear her wedding dress, he would beat her black and blue. She bore with this for a while before deciding to leave him. Sadly, he found out about her plans before she could escape and beat her to death. Some stories say that he decapitated her and then set their house on fire while others claim he drugged her and let the fire kill her. Regardless of which story is true, the poor woman became the white figure in a bloody wet gown which many see today. However, you’re better off not seeing her as she’s been known to be quite violent. She’s mainly seen mumbling about killing the people she comes across and reportedly threw an axe at a teenager’s head one night. 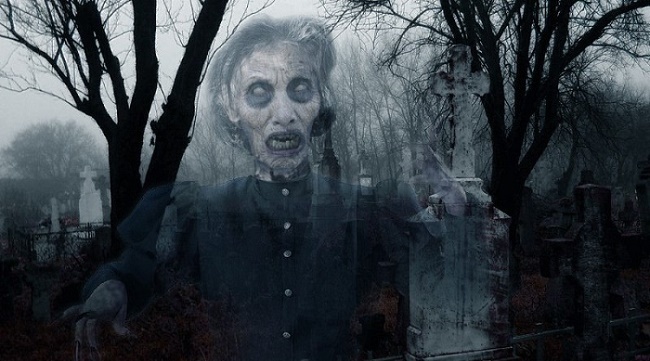 Another malicious spirit is that of the Ghostly Cemetery Caretaker. Drivers who dare to disturb the cemetery’s peace with their car lights are punished by a white, violent spirit that scratches at the car to get to the driver and passengers. 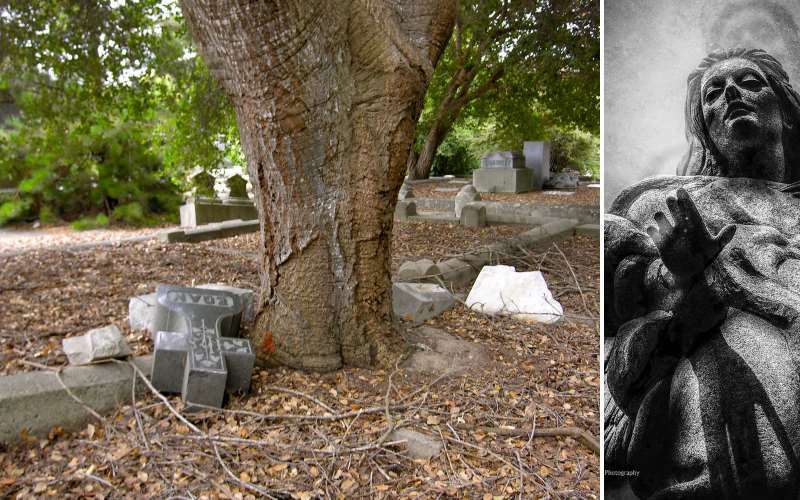 Those who managed to survive the chase reported seeing a figure wearing overalls and holding a shovel, which is why many believe that this entity served as the cemetery’s caretaker in the past. So, avoid the Santa Cruz Memorial Park at night. Who knows – you may escape the clutches of the caretaker only to end up facing the White Lady with an axe in her hand.